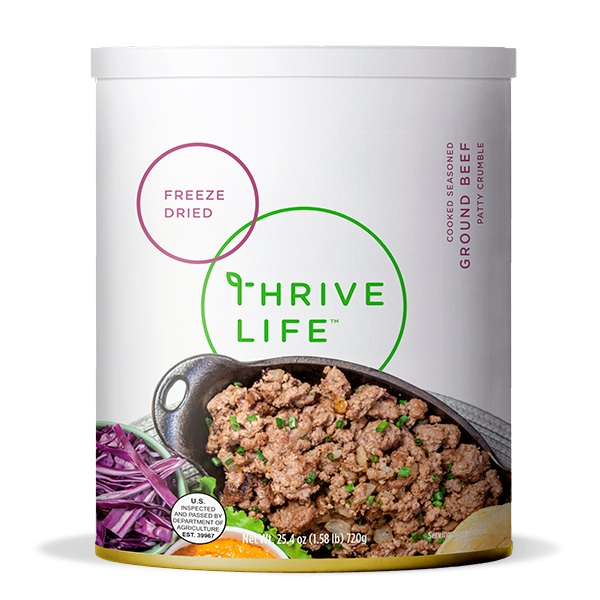 Thrive Ground Beef is an essential in the kitchen! These crumbly bits are pre-cooked and perfect for tacos, sloppy joes, and casseroles. Add 1/2 cup warm water to 1 cup Ground Beef; cover and let sit for 10-15 minutes, or until tender. Use in tacos, sloppy Joes, pasta sauces, and casseroles. Warm it in a pan with some butter before adding the water to rehydrate it to create a toasted flavor.